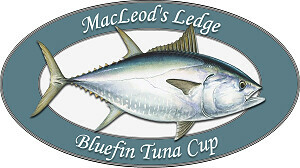 The 4th annual MacLeod’s Ledge Bluefin Tuna Cup Event in Tignish wrapped up on Friday August 21st after two full days of fishing and festivities. Eight teams participated in the event, one from Florida, one from New York, two from Ontario, one Atlantic, one Maritime and 2 PEI teams, one local and the other from the East. 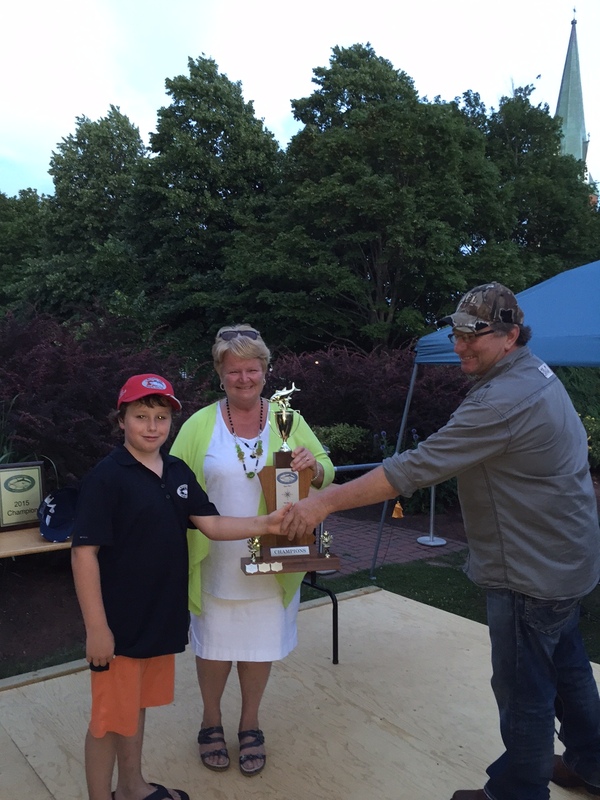 The “Tuna Wranglers”, a Prince Edward Island team won the tournament with the longest fish measuring in at 120 inches on the first day of fishing. 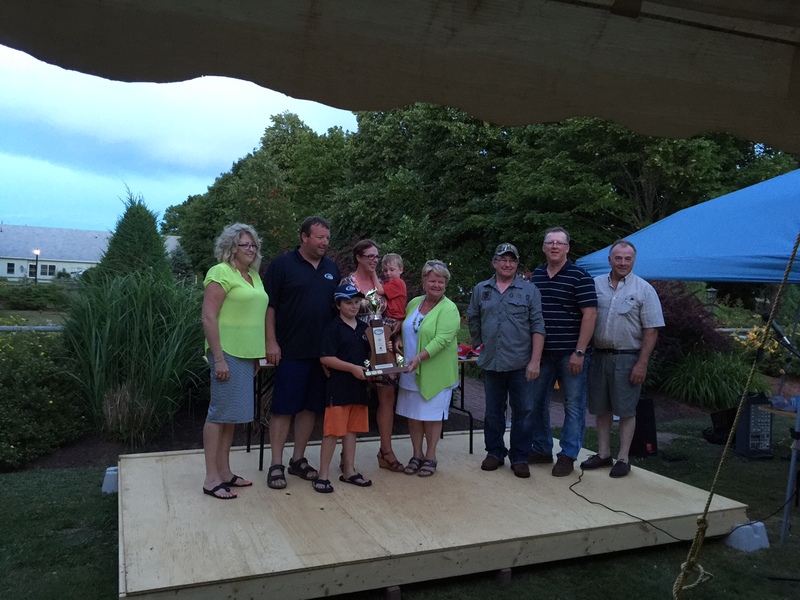 The team members were Colin, Dawn & Liam Runighan, Bobby Jenkins, Marcel Richard, Craig & Adam Avery, Andrew Campbell, Ian McPherson and Cory Jenkins. Left to Right Anne Arsenault organizer, Colin, Liam, Dawn & Seamus Runighan, Honourable Gail Shea Minister of Fisheries & Oceans, Blair Matthews the Captain, Marcel Richard and Floyd Keefe Chair of Tignish Initiatives Corporation the local community development organization the is responsible for the event. 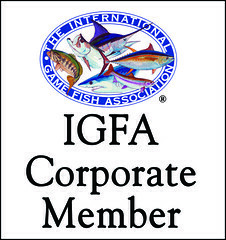 New this year a plaque was presented to the team with the longest accumulated length of fish measured for the tournament which turned out to be “The Defenders” the 2014 Champions Steven Christopher’s team out of Acton Ontario. 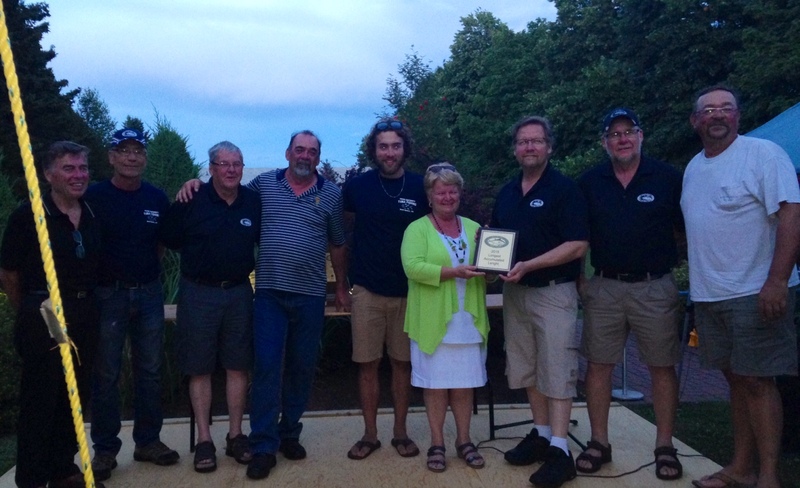 From left to right, Erv Skrien, Peter Gauthier the captain, Russell Gallant, Ray Gaudet, Ross Gauthier the first mate, Honourable Gail Shea Minister of Fisheries & Oceans, Randy Vanstrom, Steven Christopher and Steve Papillon.